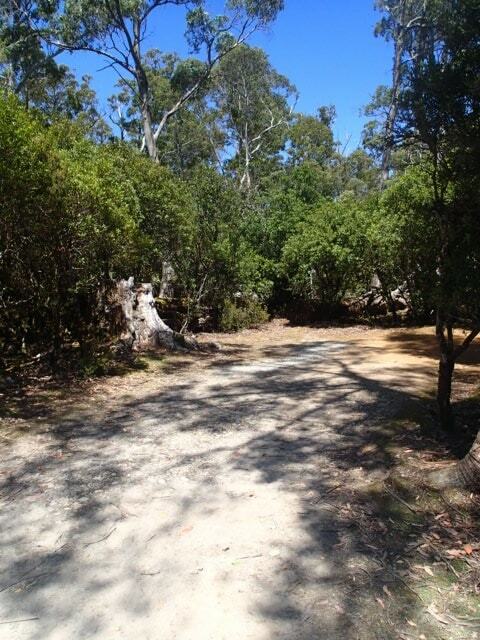 Need to know about camping at Cradle Mountain? Then read on and find out all you need to know! Cradle Mountain is in the northern end of the Cradle Mountain-Lake St Clair National Park. It is a very popular area for visitors and hikers due to its beauty and mountainous terrain. 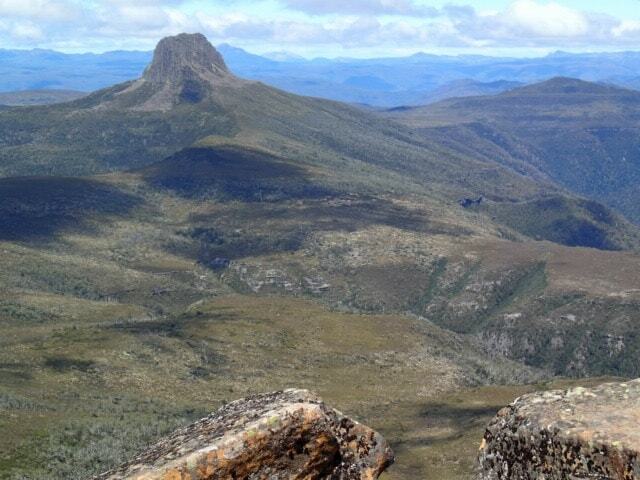 It's also where the world renowned Overland Track hike commences (you can﻿ read﻿ all about The Overland Track and all the camping along that route, right here on this site). You don't need to commit to a 65km hike to experience this area, but you might want to allow yourself a couple of days here at a minimum to do some of the shorter walks in the area and just take in the beauty. We travelled in the summer months, and the weather was very warm and sunny which made for great views of the area from the top of Marion's Lookout and the top of Cradle Mountain. But weather here is very changeable and you do need to be prepared for whatever weather can hit you with! Winter here brings snow, so depending on the time of the year you travel, your experiences might be a little different to what we encountered! Your camping options are limited in this area. There are no free camping sites within the National Park. Your options are to stay in a serviced campground (which we did) or other forms of accommodation like chalets, lodges and self contained accommodation. From a camping perspective you don't have many choices. We travelled to Cradle Mountain straight from Devonport. We travelled in daylight and it takes about 2 hours from Devonport. The roads are narrow and winding, so you do want to allow yourself plenty of time to get there and get there safely. If you are travelling from Launceston, allow around 2.5-3 hours to get there. Whichever way you come, there are plenty of signs pointing you towards the Park, as it is a major tourist attraction in the area. 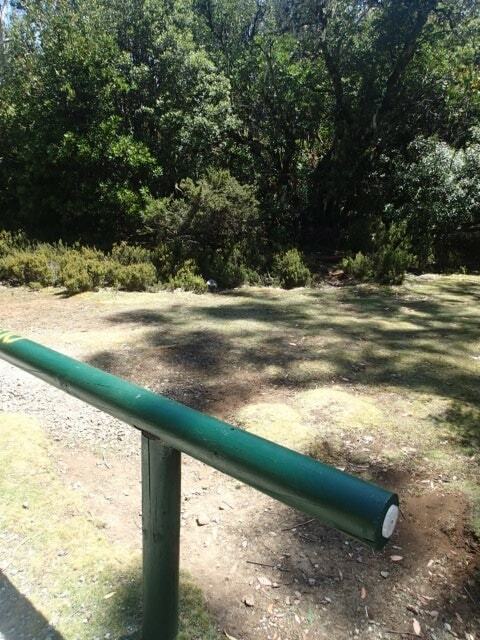 More detailed route information can be found at the Parks & Wildlife Service website. As mentioned above, the only camping option you have if you wish to be near the National Park - is staying in the Discovery Parks at Cradle Mountain - which is now part of the G'Day Rewards Parks. 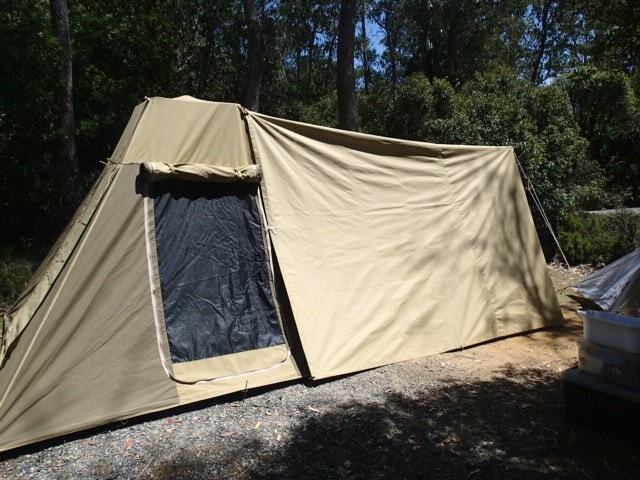 This is the closest camping option to Cradle Mountain. In fact, just across the road from the caravan park is the Cradle Mountain Visitor Centre, which is the hub of all transport and information about Cradle Mountain. 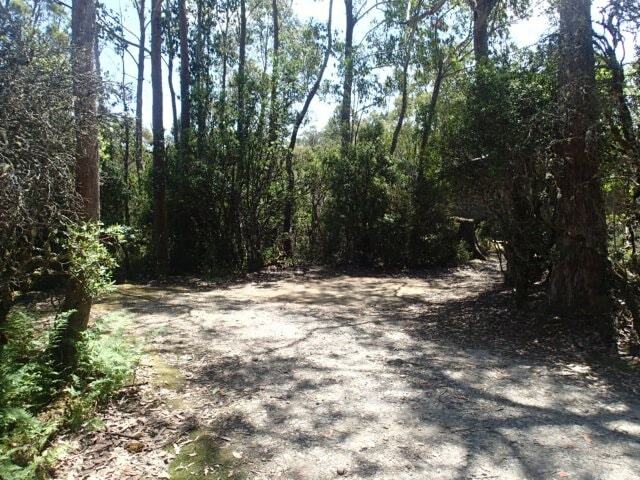 Normally we do avoid caravan parks but if we wanted to be near the National Park and not travel great distances each day, then this was the place for us. In fact, its the only place for campers. 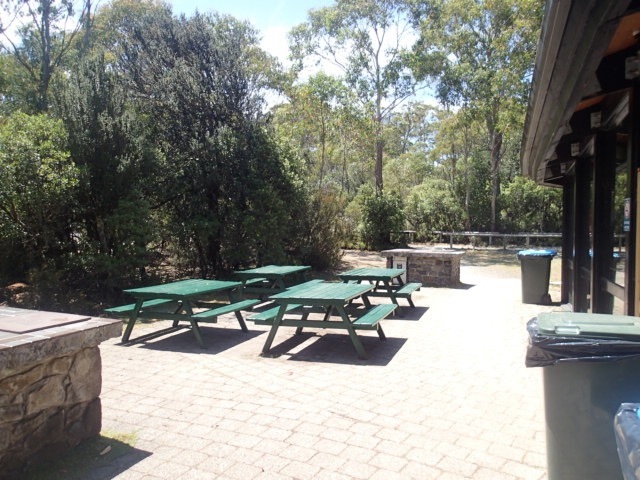 This campground has a number of accommodation options - cabins, cottages, backpacker accommodation, powered and unpowered sites. So you will find an option that suits you. Bookings are essential. The Cradle Mountain accommodation can fill up very quickly in peak times. We booked months ahead and thankful we did. In January, it was a full house at every location near the Park. To book, you will need to contact the Holiday Park directly. Being a caravan park, we have seen some pretty ordinary ones in our travels. This is definitely one of the better ones. The unpowered sites for family tents were well spread out and private. The caravan and motorhome section (those sites that needed power) were in another area to where the tents were, so you never had to have large caravans parked closely to you. Below are some of unpowered sites. You can see that they are quite spacious, with varying amounts of shade and privacy - but on the whole, are very untypical of some of those big caravan parks. Thankfully, there are no jumping pillows or oversized playgrounds. In the unpowered sites, you never felt crammed in, or that you had no privacy or were on show to every other camper. They were more like some of the National Park campgrounds we had stayed in. 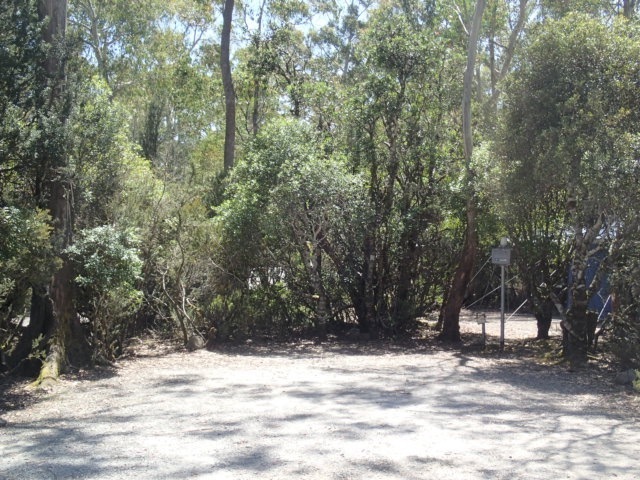 The whole park is spacious and whilst it was full when we were there, in our campsite, we would never have known! There are shower/toilet blocks which are large and spacious and seemed to handle the volume of people in the busy season we visited. They are a little old and probably needing some updating/modernisation but they were clean and functional. Depending on your location within the park, the walk to the main amenity block was a bit further than we would have liked. You sort of had to plan when you needed to go to the toilet (no last minute dash). Around the amenities block closest to us, there were hiking tent unpowered sites on either side of the path that led to the amenities block. I did feel sorry for those hikers who had people walking so close to their tents day and night. Nearby was a laundry with clothes lines available just outside. Standard costs to wash and dry clothes apply. There is a spacious camp kitchen - with indoor BBQ's, hotplates, plenty of seating, kettle, microwave and fridges (make sure you write your name and date on anything you place in the fridge). It was clean inside and all the campers that were there seemed to leave it clean and tidy for the next person. A large open fire with plenty of wood piled close by would be fantastic in winter months, though of course, in summer, it wasn't lit. A big bonus is that have 2 pizza ovens (gas operated) just outside the camp kitchen. If only we had known!! We would have brought food to make our own pizzas....If you do want a pizza desperately, the Reception area of the Discovery Park sells some frozen ones, but, in the end, if we couldn't make our own, we chose not to buy a frozen one. A vending machine sells a wide range of soft drinks for the bargain price of $2 per can. Considering how much some of the tourist places in and around Cradle Mountain charge for food and drink, this was cheap. Just outside the camp kitchen, there are also more outdoor BBQs and seating area - so this is a great communal space for campers and we thought it was an excellent camp kitchen. The Reception area does sell a range of food and drink (and alcohol if you are staying at the Park) and also you can access WiFi there (only place where you can get WiFi). If you don't have sufficient supplies for lunch or dinner, you are a long way from shops. You really do need to bring everything you want for all your meals. Stock up at a major town before you begin your travels to this area. But should you not want to cook (and after a hard day hiking, its very enjoyable not to have to worry about a meal), there are a few options we investigated. Cradle Mountain Lodge, just down the road from the Discovery Park does lunch and dinners - they have a Tavern Bistro and a full service restaurant. Being in such an isolated area, and a touristy one, the prices are not cheap and you are paying for the location and the convenience of not having to cook. This also applies to the Cradle Mountain Hotel which is also a short drive from the Discovery Park. They have a proper sit-down restaurant and a bar menu, in beautiful surroundings. This looked like a lovely place to stay, and the food we had from the bar menu was tasty (though not overly large servings). 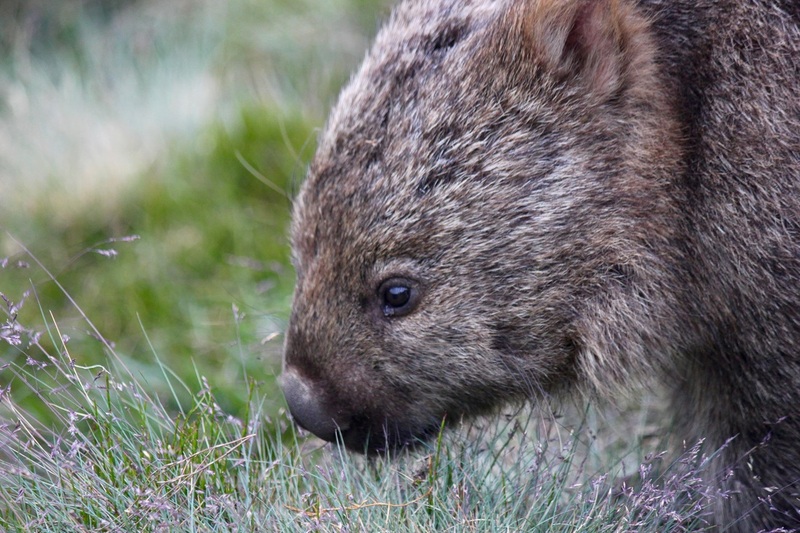 It's also the place I saw my first wombat of the trip! The Cradle Mountain Visitor Centre has a cafe, but that closes at 5pm. So its the place you can go for lunch is needed. We had brought our lunches, so didn't dine there. 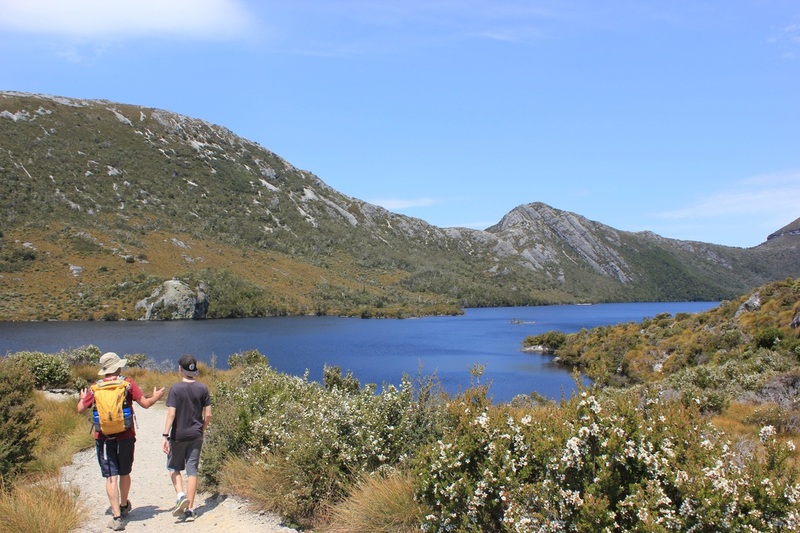 At Cradle Mountain, you are there for the natural beauty and a good starting point to your time is to head to the Cradle Mountain Visitor Centre which will be able to provide you with all the information about what to see and do in the area. Naturally the amount of time you plan on spending in this area will affect what you do. 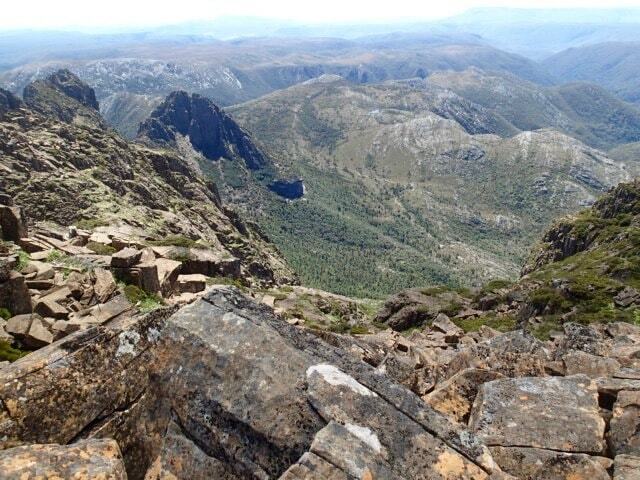 Our aim was to get in as many walks as we could, including the climb to the top of Cradle Mountain. Due to volume of people, the amount of vehicles allowed into the National Park is restricted, which is a brilliant idea. So to make sure everyone can get to key points, the Visitor Centre runs a shuttle bus throughout the day and early evening to move people around. During summer we waited no more than 10 minutes for this bus which allows you to hop on and off at designated points on the way to Dove Lake. You can drive down to Dove Lake, provided you are in a vehicle that meets the requirements (that means no caravans, large vehicles) and the Park is not full. But really, the shuttle bus is so convenient, and you don't have to worry about the narrow, winding roads, and just sit back and enjoy the view. One of the biggest attractions, especially for day visitors it seems is to go to Dove Lake - and do the walk around it which takes about 2 hours. Many people just seemed content to take in the view of the Lake from different vantage points. It's a nice easy walk that most people can do without any troubles. There are many other short walks you can do, and the Visitor Information Centre will be able to advise you of them and if suitable for you. A list can be found on the Parks website. If you are up to more of a challenge, there are walks to suit more experienced hikers and those who are prepared for changing conditions. 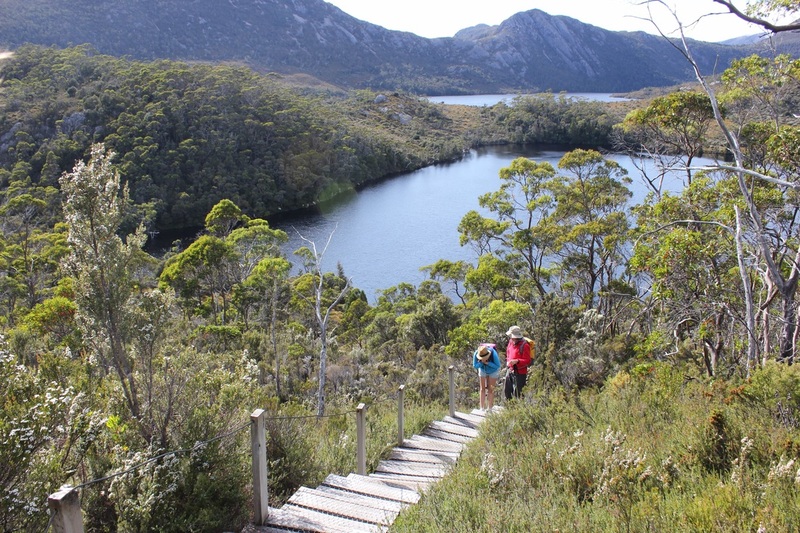 We chose to do the walk to Marion's Lookout (via Wombat Pool), and then onto the top of Cradle Mountain. Only half the family made it to the top of the mountain - its not so much walking at this point, but more like scrambling over rocks and it is not for the inexperienced or ill prepared. The other half of our family waited at the bottom of the Mountain, at Kitchener's Hut which was a pretty area to just sit around and wait for the mountain climbers to descend! Another highlight of this area is the wildlife - from pademelons, wombats and echidnas, there are plenty of Australian animals to spot if you are looking. 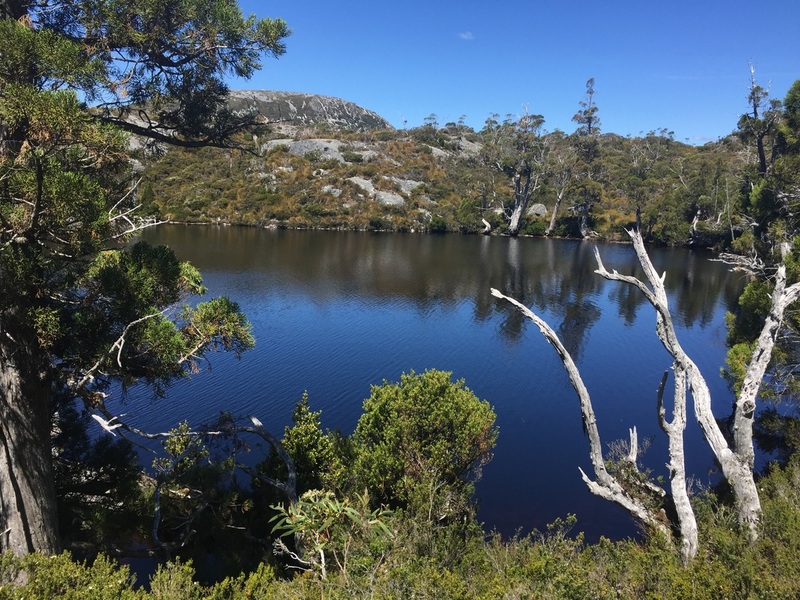 Unfortunately on this trip to Cradle Mountain, we didn't see any of the Tasmanian Devils but on previous trips many years ago, we had seen many. Their numbers have been in decline due to a Facial Tumour Disease (to find out more about this, and how you can help, please see the page Save The Tasmanian Devil). 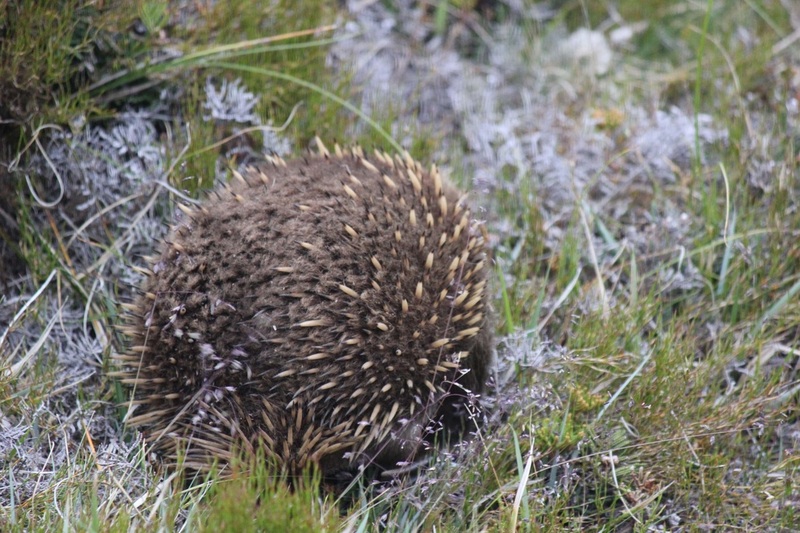 Below are some of the animals we saw when at Cradle Mountain. 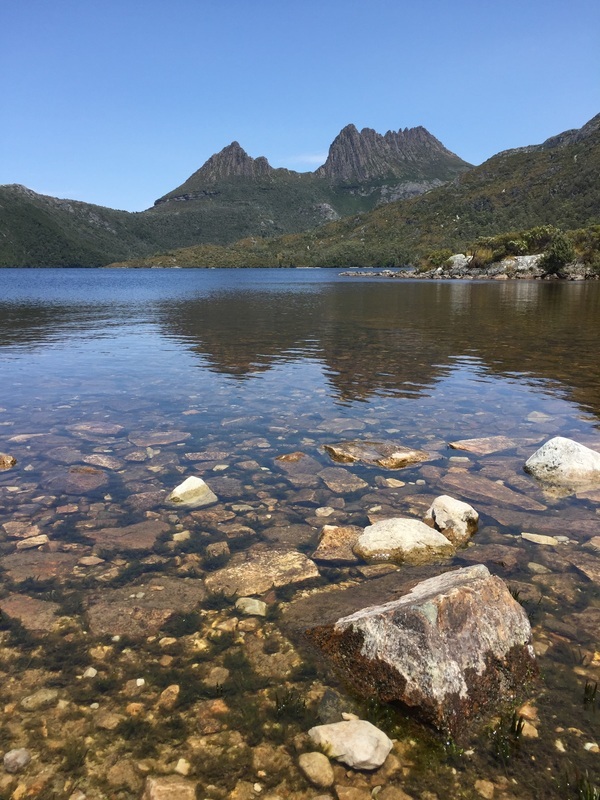 Put Cradle Mountain on your list of must-see locations in Tasmania. If you don't love camping, there are loads of other accommodation options from fancy hotels to small chalets - there is no reason you can't come and stay close to the National Park. From a camping perspective, the Discovery Park was a great camping ground, and we were very impressed and pleasantly surprised. Of course we know there were no other places to camp, so our options were somewhat limited, but we would stay there again with no hesitation. This was a lovely break in this beautiful region of Tasmania. It's a special place - winter or summer.